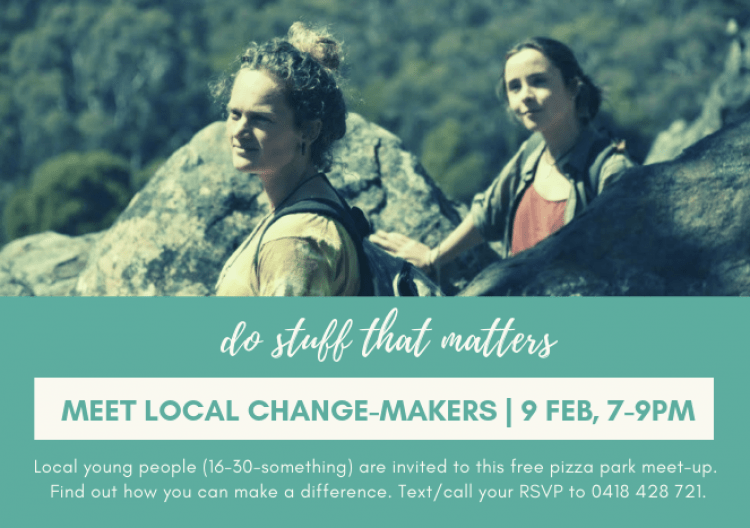 Local youth of Castlemaine, Victoria, are invited to meet local change-makers at this free pizza park meet-up. Find out how you can make a difference, and perhaps kick-start your own Intrepid Landcare tribe. Intrepid Landcare is a national youth network across Australia, connecting young people and supporting them to do stuff that matters. If you are into nature, adventure, conservation or agriculture, and up for a good time and chats, call and text your RSVP to 0418 428 721. This event is free, and RSVPs are required for catering purposes – we don’t want to waste food. This event is proudly supported by Connecting Country and the Victorian Landcare Program.